"In the new studio, I heard details in the music that I never knew existed . Everything sounded clearer and cleaner. The new equipment and setup sped up the music production process significantly. It finally felt right." 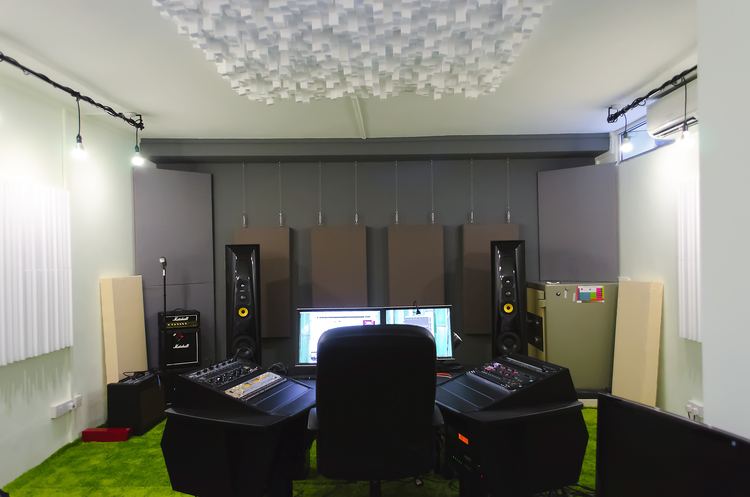 Dyson Road Studios commissioned us to perform the acoustic design for a home recording studio complete with machine room. ​The design was composed of a fully absorptive front wall with fully diffusive ceiling, side and back walls. Fabric Wrapped Corner Bass Traps were fitted onto all corners to tame room modal frequencies. Due to the studio being situated in the basement, we were restricted from drilling into the walls. We overcame this hurdle by hanging the front wall acoustic panels off wire rope. 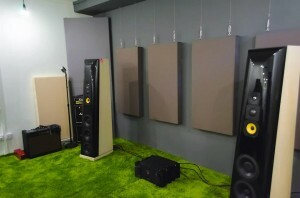 ​The end result of the acoustic treatment was an evenly balanced room in the bass frequencies with only one room mode left to be tamed by a resonant trap that is scheduled to be installed at a later date.